He was an absolutely adorable child. She has the most adorable two-year-old girl. He was befriended by an old lady. 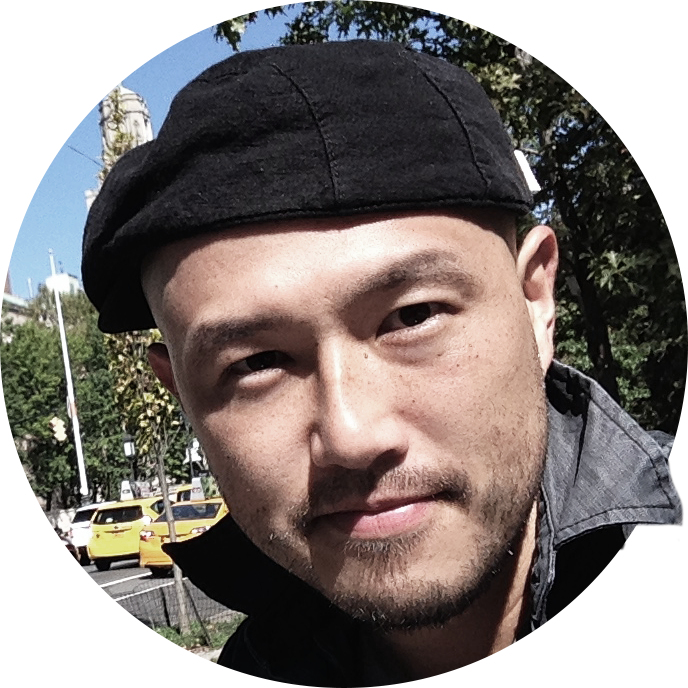 While at college, he had befriended a young student from China. It is not advisable to befriend your boss, or your teacher. 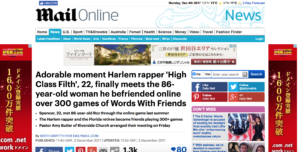 A young rapper from Harlem has met with the 86-year-old Florida woman he befriended through an online word game, melting hearts across the internet. 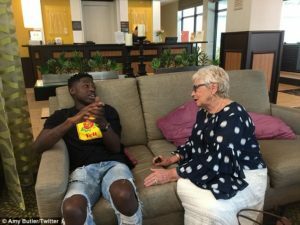 Spencer, 22, got to meet 86-year-old Roz on Friday in West Palm Beach, Florida more than a year after the two met each other playing the Scrabble-like online game Words With Friends. ‘We played 300+ games together and she actually ended up becoming a good friend of mine. Today I got to go to Florida and meet her in person,‘ Spencer wrote in a tweet about the meeting that has been re-tweeted over 220,000 times. After two weeks of traveling around Europe, we ended up in Paris. Roz lives in a retirement community in Florida and began playing Words With Friends with Spencer last summer. Amy Butler, a pastor at The Riverside Church in upper Manhattan, set up the meeting and flew to Florida with Spencer. Spencer, who raps under the name ‘High Class Filth’, shared his record of matches with Roz, indicating he has won 210 out of their 324 games. ‘She was not crushing me boy don’t play with me,’ he noted. 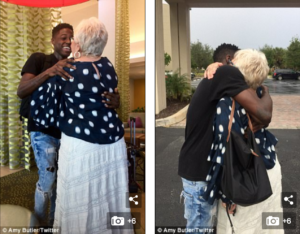 Pictures of the online friends meeting joyfully in person for the first time quickly went viral, sparking an outpouring of emotional responses. Her poems first appeared in 1749, under the name of ‘Sylvia’. Her detective stories were written under the name of Kramer. There was an extraordinary outpouring of grief following her death. ‘Sitting in a restaurant here totally choking up. My family’s like “what just happened to mom?”,’ wrote Jessica Webster. ‘I made a beautiful friend on WWF many years ago. I am American, she was from UK,’ wrote Patricia Cuxirimay. ‘We vacationed together here and in Perú. Then cancer took her a little over a year ago. So grateful for her presence, however short, in my life—and grateful you got to meet your WW Friend! God Bless!’ wrote Cuxirimay. Butler, the pastor, helped broker the meeting after recounting the story of Spencer and Roz’s friendship in a sermon. When we met again after five years, I just choked up. The earthquake took 26 lives and injured over 60. The new deal has been brokered by the UN. He brokered a deal to buy the company. The former president offered himself as a broker for peace in the region. She recounted her conversation with Sam. He recounted his adventures since he had left home. He was fond of recounting how he had played professional football when he was 19. She recounted some of her experiences working as a nurse in a hospital emergency room.